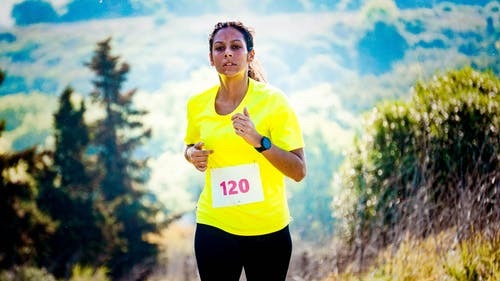 People often describe the positive effects of exercise on your mood as your body releases endorphins but that does not actually present the whole picture. While working out, your body first recognizes physical activity as a type of stress. It then leads to fight-or-flight reflex which is an evolutionary response that your body has in the face of danger. But when you are in the middle of your workout, your body tends to feel pretty good. It is when the magic of endorphins start to work but science has now explained that working out can have greater effects than that. A study carried out by the researchers at the Yale and Oxford University in which the data was collected involving U.S citizens about their physical and mental behavior. Participants were asked how many times they have felt mentally unwell during the past thirty days due to stress, depression, or any other emotional issues. The participants were also inquired about their income and physical activities. Also, take a look at 5 effective brain exercises that make you smarter. The results of the study revealed that participants who exercised regularly, tend to feel bad for 35 days a year. On the other hand, the participants who were not physically active felt bad for an additional 18 days of the year. The researchers also found that people who were physically active were just as good as who don’t do sports but earn more than $25,000 a year. This means that you have to earn a lot more to get the amount of happiness you get from involving in sports. Studies suggest that when we grow old, we’re constantly losing our stores of dopamine. Therefore, we need healthy exercises to release dopamine. 2. Healthy Excercise makes you less stressed out. Daily exercise not only releases you of daily worries but also reduces stress, in the long run, making you healthy. 3. Exercise makes you feel energized. When you workout, you sweat because of the heart pumps. the hormones of stress are reduced to a considerable percentage and that raises hormones of happiness in the body which builds energy and affects your mood. If you are depressed, exercise helps you get out of your current state. Are you usually stressed out and face anxiety. You need to exercise right away and do it regularly. Because, studies on the effects of exercise show that those who suffer from anxiety and when they exercise, their mood boosts and the anxiety reduces. Research also shows ways how spending time in nature can improve your health. There are proven reasons why you should surround yourself with nature.